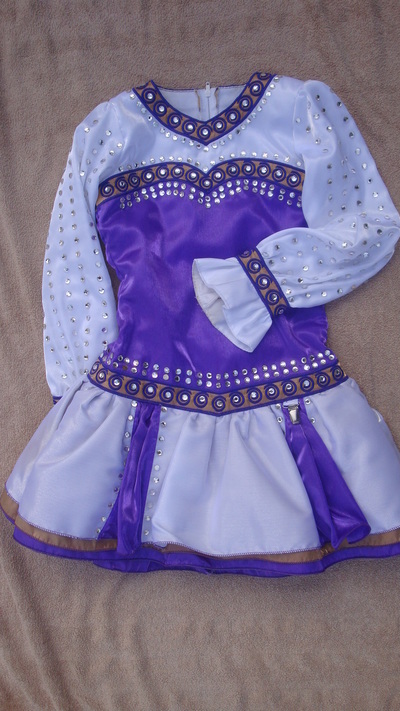 Beautiful championship up-to-date solo costume. 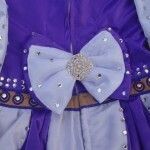 Immaculate condition.Purple twinkle satin bodice with white kick pleat, dropped waist skirt. 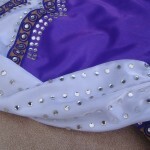 Kick pleats lined in purple. 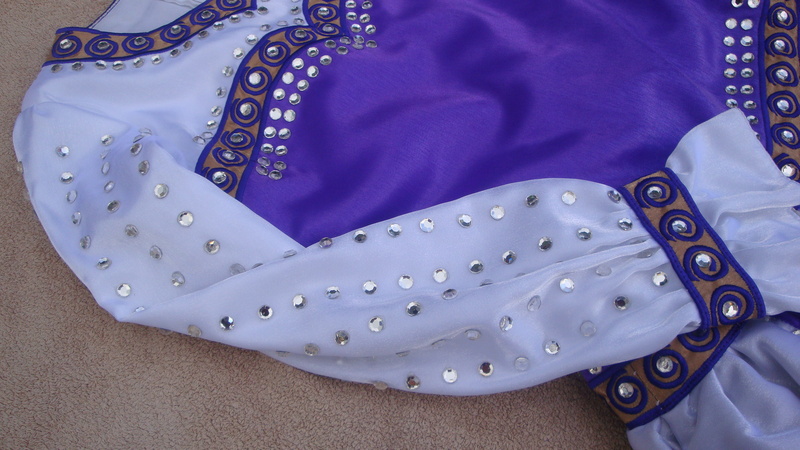 Swarovski covered sleeves, cuffed at bottom of sleeve. 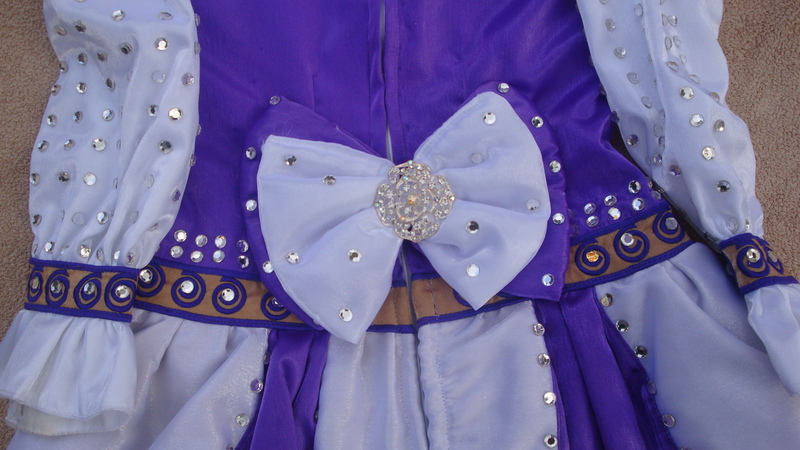 Hundreds of swarovski diamonds elsewhere on costume. Very lightweight dress. Beautiful on stage. Comes from pet and smoke free. Asking Price: €450. Shipping costs are not included in the asking price. Returns are negotiable.